The Drivesmart Elite 2 is the ultimate combined unit packed with 4 features. Complete with FREE lifetime database updates which can be downloaded here. To update your unit, you will need to download the PC Database below, and drag the .bin file directly on to your Micro SD card. 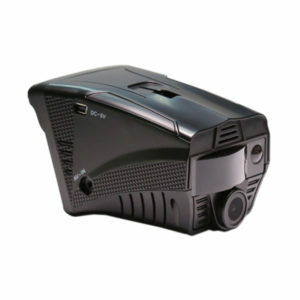 You will require an SD card reader / slot as this can not be done directly through the camera unit. Once the database has been loaded on to your Micro SD card, remove it from your computer, insert your card into your Elite 2 unit and turn on the power. You should see a loading bar, showing the update taking place. When this has completed, the screen will go blank to indicate the update is complete. This file will be downloaded as a .ZIP file, so unzipping software may be required. You have Dark Mode selected as On. This is designed to turn the display off for people who do not want it distracting them when driving or if its too bright at night. Scroll through the menu and turn Dark Mode Off to solve this. The unit records for short period before stopping and shows the word 'Parking' in the corner. This is usually caused by having ‘Motion Detection’ mode activated. This feature needs to be set to ‘OFF’ whilst normal driving. It is used when leaving the car unattended and needs to be activated manually before you leave the car. It uses the in-built G-Sensor to monitor for vehicle movement and then starts recording for the length of time set in the ‘MOTION EVENT REC’ option. The unit keeps advising me I am over the speed limit. One of two settings can me causing this. You have the Cruise Overspeed Warning on. This can be set at anything from 20mph-90mph and you will get an alert when ever you go over this to stop your speed drifting above a pre-set limit. To turn this off scroll up though the speeds and after 90 it will go to off. The other reason for this is that you have Continue Alert for Overspeed warning on. 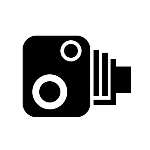 This means if you are getting a camera alert and you are above the understood speed limit for that road you will constantly be alerted as you approach the camera location unless you reduce your speed. Unit is reading much faster than I am travelling. You probably have the unit set to KPH. This can be simply changed in the settings. Unit is reading a few miles per hour slower than I am travelling. This is not a fault but a feature of modern cars which are over calibrated so they cannot be culpable in any speeding offence and to allow for any changes in wheel or tyre sizes. There will be some lag in acceleration or braking but at a constant speed the DriveSmart will be more accurate. There is a setting in the menu to add a few MPH to the shown speed to level this up with your speedo if you want to. All the features and options have changed on the buttons after doing a database update. You have probably updated the unit with the wrong file. (Loaded the DriveSmart Pro update on the Alpha for example.) Simply re-update with the correct file and this should solve this. The clock time is wrong by a whole hour or more. You can change the clock time to adjust for GMT/BST and Europea time zones. Scroll through the menu and add or remove an hour or more as required.